Here are 3 finished folk art-inspired deer necklaces that I made this weekend. 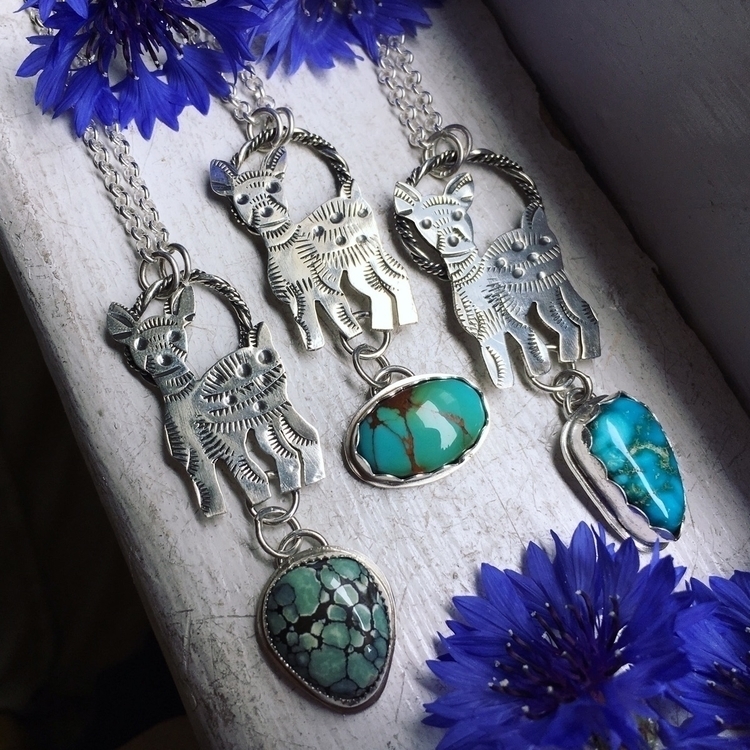 From L: with Desert Bloom variscite, Royston turquoise & Turquoise Mtn turquoise. They will be available in my shop after I'm back from vacation.